The American Chamber of Commerce in Korea, better known as AMCHAM (AMCHAM), picked William Oberlin as its new chairman on Dec. 22, 2006. 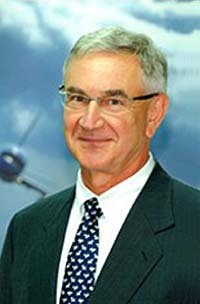 Oberlin is president of Boeing Korea and has headed the aircraft company's Seoul office since 2002. He was AMCHAM chairman in 2003 and 2004. Although the functions of today's Chamber are as varied as the types of businesses it represents, the basic aims of all AMCHAM functions are: to promote and protect the interests of member companies operating in Korea. to represent and relay the opinions of the American business community to the Korean government, and to Korean trade and industry associates as well as to U.S. government officials. Within the U.S. and Korea, efforts are made to keep members informed and to encourage them to participate in Chamber activities. AMCHAM Korea has institutionalized its ability to organize seminars and Breakfast Briefings for visiting business-people and politicians, to assist in acquainting them with business conditions in Korea. Meetings are also arranged for members who wish to meet with others of similar business interests to discuss specific issues. The Chamber enjoys excellent standing with the U.S. Embassy. The Ambassador is the Chamber's Honorary Chairman, and he and his staff hold periodic briefings for members of AMCHAM. The annual "Know Your Embassy" program is a special orientation for members to help them better understand the services offered by the U.S. Embassy. The Chamber also sponsors functions at which visiting U.S. Members of Congress, and occasionally Cabinet Members, meet informally with AMCHAM members in small sessions to discuss areas of specific interest. Meetings for the entire membership are held monthly, in which guest speakers, both from Korea and abroad, discuss topical economic and political news and events. This provides a useful perspective for business-people in Korea. Much of the important business of the Chamber, however, is conducted over 30 committees through regularly-scheduled monthly meetings. In the Spring of each year, AMCHAM Korea sends a team of Chamber representatives to Washington on an independent "Door-Knock" program. This mission is organized solely for AMCHAM interests, and is a strong indication of the importance of today's trade relationship between Korea and the U.S. The AMCHAM Korea team informs congressional leaders of the current market situation here and makes recommendations on actions that should be taken to reach mutually-agreeable solutions to trade problems. AMCHAM Korea has grown from its very modest beginnings in the year the Korean War ended to a large professional organization with an ever-increasing influence on the trade and business relationship between the U.S. and Korea. It derives its strength from the scope of its membership and from the efforts of the volunteer committee members who do the work and achieve the results. AMCHAM is at the center of business activities and has established full credibility with the Republic of Korea and the U.S. Government.